A St. Helens woman died in a rollover crash near the city of Jefferson last week after she attempted to elude law enforcement officers in a stolen vehicle with two other passengers inside. Law enforcement officers attempted to conduct a traffic stop at 6:21 p.m. on Thursday, March 21. 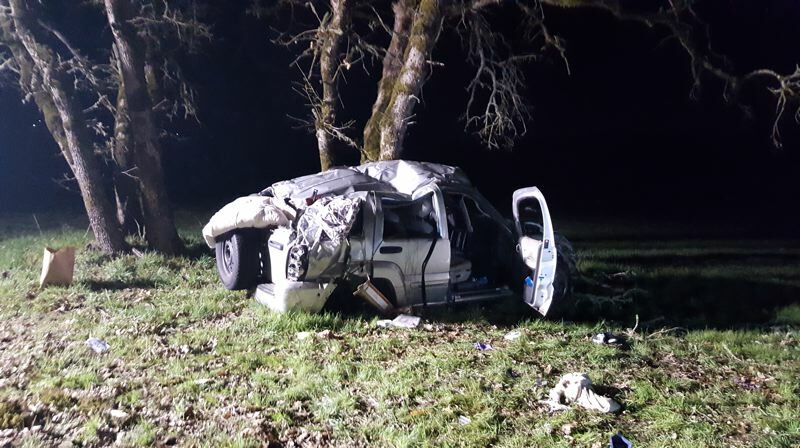 The driver of the vehicle attempted to elude police, however, and ultimately lost control of the vehicle, which rolled several rimes, according to Oregon State Police. Amber Mosey, 30, of St. Helens, was identified by OSP as the driver of the vehicle that had been reported stolen out of Eugene. Mosey suffered fatal injuries while two passengers were taken to a Salem-area hospital with serious injuries following the single-vehicle crash. The passengers were identified as Carmen Lewis, 31, of Eugene, and Christopher Arrington, 35, of Portland. The crash occurred near the intersection of Hochspeier Road and Jefferson Highway, approximately a mile north of the city of Jefferson. According to OSP, authorities were interested in the suspect vehicle and its passengers in connection with several armed robberies that occurred in the Eugene area. A criminal investigation is ongoing by the Eugene Police Department into those cases. A crash reconstruction team from the Marion County Sheriff's Office, Keizer Police Department and OSP are investigating the fatal crash. Court documents indicate Mosey most recently resided in Albany, and had also lived in Wilsonville. She had previously been convicted of burglary, felon in possession of a firearm, possession of methamphetamine and unauthorized use of a vehicle in several instances between 2009 and 2016.